The IMISCOE Spring Conference will be held at Middlesex University London on 17 February 2017on the Tyranny of Categories in Migration Policy, Research and Data Production. A number of writers have highlighted the ways in which categories form the backbone of policies through which they define the conditions of mobility and the concomitant set of entry, residence, economic and social rights as well orient research and data production. Over the past decade IMISCOE has provided seed money to selected research initiatives. It has issued consecutive calls for new research initiatives. The aim of these initiatives is to mobilize colleagues in order to explore possibilities of enhancing new research (by developing research proposals), of joint publications or other activities around specific topics. In addition to its open call for book proposals, IMISCOE is launching a Special Call inviting manuscripts that address themes that the IMISCOE Editorial Committee deems particularly relevant in the current context and which have received less attention in the IMISCOE series so far. For further information please go to our website. IMISCOE is the largest European network of scholars in the area of migration and integration. The focus is on comparative research and publications, in the IMISCOE book series as well as in the journal CMS. 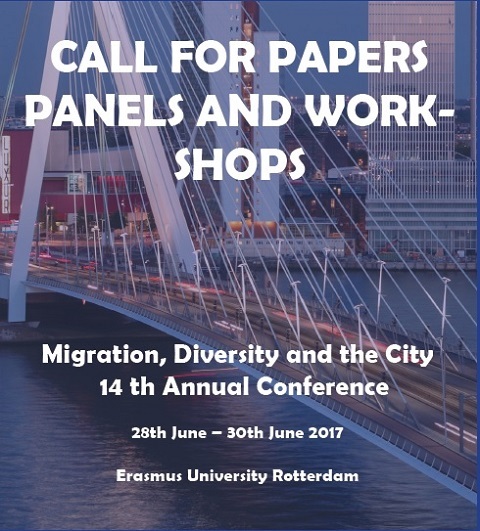 The annual IMISCOE conferences is a key-moment in the agendas of most migration scholars in Europe. The brochure contains information about the mission and main activities of the network as well as an overview of the institutional members (reference date July 1st 2016). Amsterdam University Press and IMISCOE are proud to announce the Complete Your Collection Sale, with a 50% discount on all currently available IMISCOE titles. For order information and a list of all discounted titles, please visit the AUP website. Together, Amsterdam University Press and the IMISCOE research network have published more than 100 titles on International Migration, Integration, and Social Cohesion.More than 50 titles are now available at a 50% discount with free international shipping. Take this opportunity to complete your collection or that of your university library! The offer is valid only at www.aup.nl until the 31st of October, 2016. 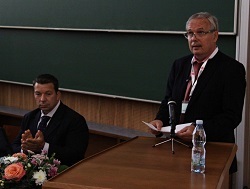 IMISCOE PHD BLOG LAUNCHED WITH AN INTERVIEW WITH DUŠAN DRBOHLAV (GEOMIGRACE). The IMISCOE PhD Network forms a network of actively engaged PhD students within the IMISCOE network. In order to share insights on the latest research in the field of migration studies, The IMISCOE PhD blogwas launched. The first entry consists of an interview with Professor Dušan Drbohlav (GEOMIGRACE), Charles University in Prague, the main organizer of this year’s IMISCOE conference on “Migration and development” in Prague. IMISCOE is happy to welcome 2 new member institutes: ERCOMER (The European Research Centre on Migration and Ethnic Relations and Cultural Diversity), University of Utrecht, Utrecht, The Netherlands and FLSHASE (Faculty of Language and Literature, Humanities, Arts and Education, Luxembourg, Luxembourg. This increases the number of participating institutes to a total of 38. Why does Interethnic Contact in Voluntary Organizations not lead to Generalized Trust? Call for Special Issues CMS - deadline November 30, 2016. Information on our call for Special Issues are to be found on our website. Professor Sieglinde Rosenberger - University of Vienna. need of a EU «culture of mobility», by Ricard Zapata-Barrero. 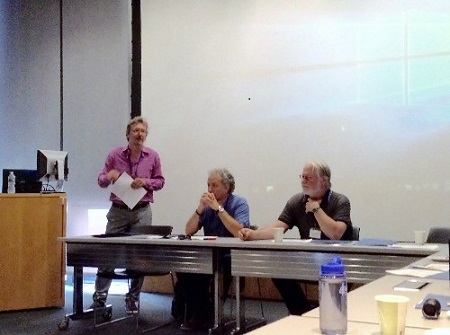 The first transatlantic IMISCOE Summer School was a big success. In a stimulating Princeton environment a group of 30 PhD candidates from the US and Europe followed a five-day program with lectures by Maurice Crul, Marco Martiniello, Karen Pren and Douglas Massey. Additionally the group participated in a panel discussion at the City University New York (CUNY) with Richard Alba, Nancy Foner and Phil Kasinitz.